I DNF'd (did not finish, gave up upon) this book around page 60. 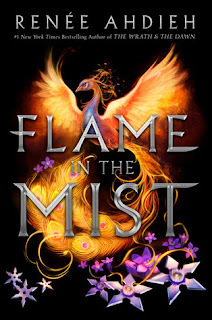 Though I usually don't post reviews of my DNFs, since I think I can't provide a full picture of the story, I'm making an exception for Flame in the Mist. I LOVED The Wrath & the Dawn, Renee Ahdieh's debut, so I was pretty excited for Flame in the Mist. However, the fragmentary, melodramatic writing style Ahdieh began to use in The Rose & the Dagger was used in full force here. I love when authors bend grammar rules to great effect, but it gets really old really quickly if you do it too much. Unfortunately, it seemed like 2/3 of the sentences in Flame in the Mist were fragments. Every time I ran across a fragment, I was jerked out of the story and had to make a conscious effort to immerse myself again. I think they were supposed to make the story dramatic and heart-racing, but those feelings dulled very quickly to a distant feeling that disconnected me from all of the characters and action. The pages just crawled by. I wanted to find out more about Kenshin and the Emperor, but I just can't trudge through this book any longer. I hope some of you like this more than I did! Last December, the only book anyone would talk about was Caraval. Because it looked so unique!! And cool!! And swoon worthy!! And wow!! I didn't think it looked all that great, and then when most people were inevitably disappointed in the actual book, my standards were lowered even more. Perhaps that's part of the reason I was blown away by Caraval - but I think it was more than that, too. As you may have noticed, the most important thing about a book for me is always how well it's written. Always. And the gripping, vivid prose employed in Caraval swept me right off my feet and into the book. 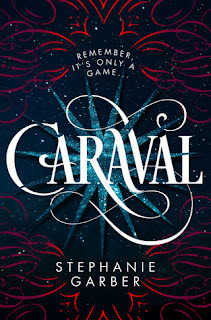 The imagination exhibited in Caraval impressed me as well, and - this is where I differ most from other readers - I really liked the characters. Scarlett was such a breath of fresh air from typical YA protagonists. She's not a "badass" Mary-Sue (though I do appreciate those in moderate amounts); she's an average, naive girl with lots of flaws and a unique perspective on the world. She holds traditionalist views in some cases yet is forward-thinking in others. I saw a lot of people railing against this, but I don't really get why. You may not agree with everything she does, and you may think you're smarter than she is, but the whole point of fiction is to expose us to points of view and motives we might not have considered before. Besides Scarlett, Tella was The Most Badass of All (loved her!! ), and Julian and Dante were SO interesting. So was Casper. And Legend. And pretty much everyone. The one critique I had is that the ending is a bit confusing. All the layers of deception unpeel at once, and it took me a little bit to understand what was true and what wasn't. 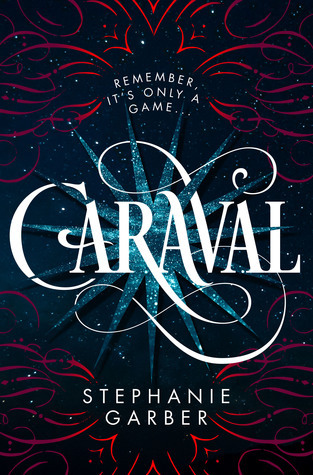 However, I would recommend Caraval if you're looking for a thrilling, magical romance with a heaping cup of adventure and mystery! 3/5 smiley face starry nights. I SO SO BADLY wanted to love this and Six of Crows. Unfortunately, I just couldn't. Although Crooked Kingdom was decently well-written and had an interesting plot, very little of that mattered in the end. Leigh Bardugo chose to make this a very character-driven story, so this is a rare time when the characters had the power to make or break the book for me. Unfortunately, they broke it. Kind of badly. Kaz and Wylan were the only characters I could connect to. Everyone else was completely generic, bland, and cookie-cutter. It felt like a lot of their words, motives, and descriptions were pulled right out of a writer's reference book. And that hurt so much more in this case than it usually does because the characters had the potential to be amazing. They just....weren't. And as a consequence, the whole story suffered. The intriguing plot salvaged this a little bit because I was interested to see how all the plot lines would resolve themselves. But overall, I was pretty happy when the story finally ended. I wish I'd liked this more than I did. Unfortunately, I just don't think this was the series for me. Let's chat! Have you read any of these books? 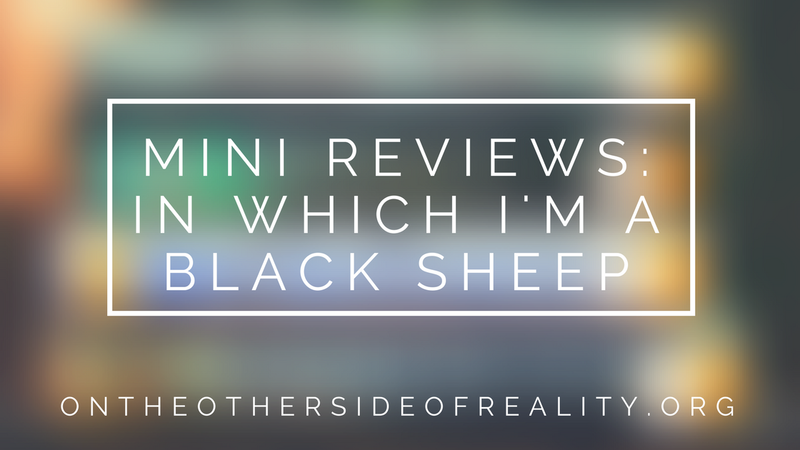 What books are you a black sheep about? What are your most recent reads? Comment below, and remember that you are all very beautiful pickles. I've been meaning to read Caraval - yet another TBR that I have yet to conquer. This was the first review I've read that didn't throw Crooked Kingdom at me, and to be honest it was kind of refreshing. Haha, thanks! I'VE NEVER READ A REVIEW THAT DIDN'T THROW IT AT ME EITHER, AHHH. It's kind of the worst?? Thank you! Aww, that's too bad about A Flame in the Midst. The plot sounded so intruding! I'm sad it was a let down, though. While Caraval has tons of let downs, a part of me still wants to read it. Can't really judge a book by its cover unless you read it, right? If you read it, I hope you like it more than I did! Definitely not XD I hope you enjoy it! I haven't read any of these yet, but the first two are on my TBR. Honestly, I'm a little wary about Caraval because I couldn't get into The Night Circus. I know, I know. They're two different books. I'll have to give Caraval a chance. As for other books, I didn't like Fangirl, and so far I think the Lunar Chronicles are just okay. I think the writing style is pretty different, so maybe that will help? Ahhh, I'm not a huge Lunar Chronicles fan either. I might try Heartless, though! Aw, I really liked all of these books! I didn't notice the fragmented sentences much in Flame in the Mist but that's probably because I love using fragmented sentences when I write. I'm glad you enjoyed Caraval so much! I'm really excited for the second book and to (hopefully) learn more about the world! 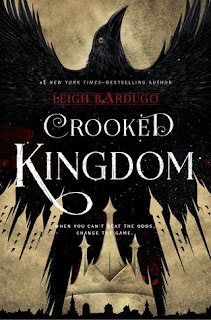 And Crooked Kingdom was DEFINITELY character driven but that tends to be what I prefer in my books. I totally see what you mean in these reviews though. Hopefully you enjoy your next reads more! Haha, I'm glad you enjoyed them! SAME SAME AHHH. I feel like a lot of worldbuilding stuff was left pretty open-ended. 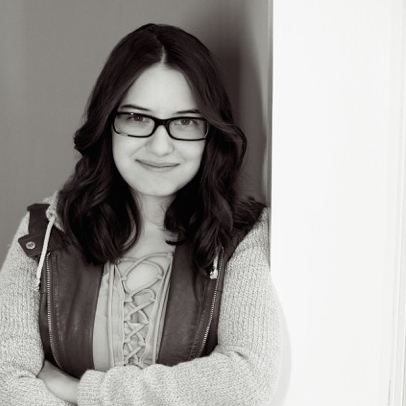 I like character-driven books, too, but only when I like the characters. XD Thank you! I'm holding out hope for Flame in the Mist but what a shame it wasn't for you. SADNESS!! Haha, I hope you like it more than I did! Yes, it's definitely more of a nod to Mulan than a retelling. I would never pin it as a Mulan retelling if it hadn't been marketed as such. I actually really enjoyed the Six of Crows series, and really liked the characters, so it's interesting to hear your opinion! Thanks! Most people seem to enjoy it, though, so you could like it as well! <3 thank you!